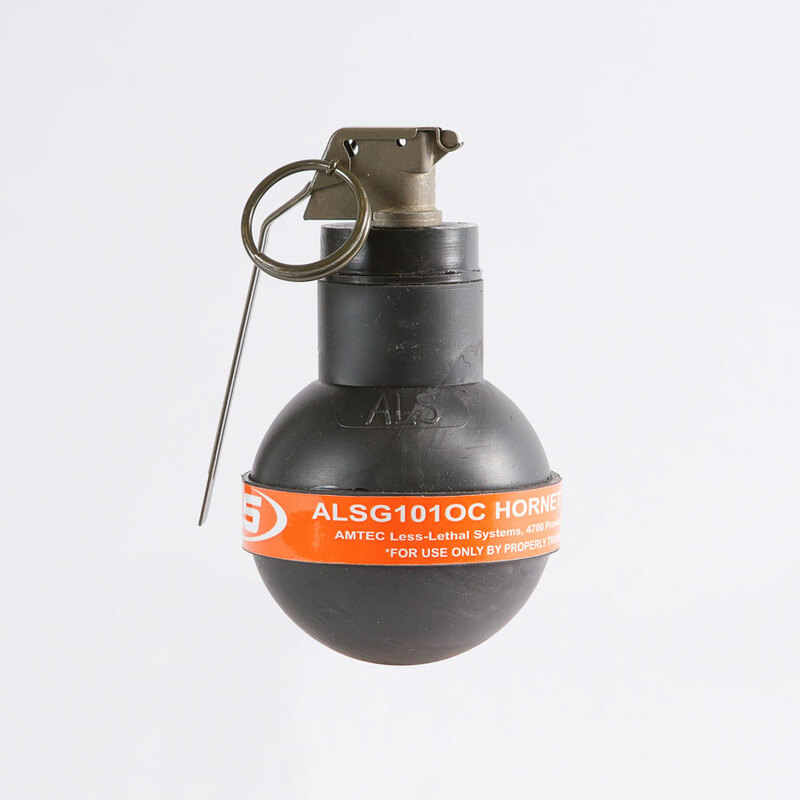 The ALSG101OC is a rubber ball diversionary device that is designed to deliver chemical agent. Upon initiation, the fuze is ejected prior to functioning of the device. This prevents the fuze from becoming a secondary projectile. Upon function, approximately seventy .45 caliber rubber balls along with OC powder are dispersed in a 360 degree pattern.